The North Machine is a lightweight technical tool designed with the most ambitious alpinist in mind. 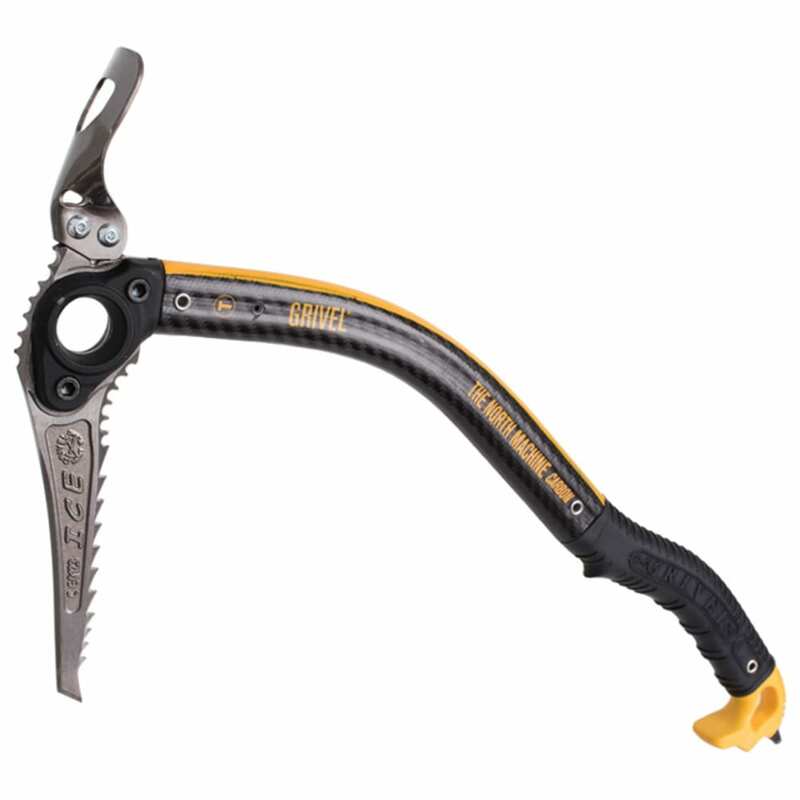 Made of aerospace composite with the finely tuned Ice Plus blade, it is designed for climbing the north faces where ice and mixed terrain are found. The North Machine's carbon composite shaft offers no compromise over quality, allowing greater strength and rigidity. This is made possible by the type of reinforcement and the orientation of the carbon fibers. The North Machine is delivered with the Ice Plus blade, which has a hammer or ADZ option. Or, you can buy it with the Ice blade, without hammer or ADZ option. It also accepts the optional Mixed blade.